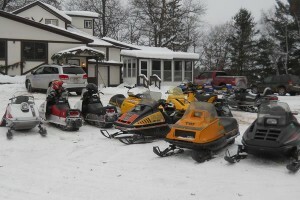 Our objective is to have a good time, while appreciating, remembering and preserving vintage snowmobiles. Relic Riders has a long list of fun activities year-round that everyone can participate in. The public is always welcome, and although we love vintage sleds, all age of riders and sleds are welcome to join our club! 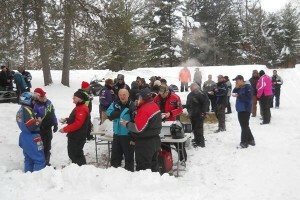 Activities include swap meets and parades (winter and summer), the Annual Vintage & Antique Snowmobile Show, and winter rides that start out with the “Kick Off Event” with a drawing for the club raffle sled, weekly “Ride to Lunch” events, the Kaye Johnson Memorial Vintage Snowmobile Ride, Big Boyz Toyz Vintage Snowmobile Ride and of course an “End of the Season” picnic. Check our website for a list of activities and dates.